Embark on a magical and visual journey of animated film with Galway UNESCO City of Film on Monday 17th October during Baboró International Arts Festival for Children, Ireland’s flagship arts festival for children and families. Animated film enthusiasts from children to adults of all ages will be spoilt for choice with Galway UNESCO City of Film’s screenings at this year’s festival. Tar éis dá máthair imeacht gan tásc gan tuairisc, cuirtear Ben agus Saoirse chun cónaí lena seanmháthair sa chathair. Nuair a chinneann siad ar fhilleadh ar a mbaile cois farraige, tá baol ann nach n-éireoidh leo a n-aistear a chur i gcrích ach go dtarraingeofar isteach i ndomhan eile iad nach bhfuil cur amach ag Ben air ach amháin sna síscéalta a chuala sé óna mháthair. After their mother’s disappearance, Ben and Saoirse are sent to live with their Granny in the city. When they resolve to return to their home by the sea, their journey becomes a race against time as they are drawn into a world Ben only knows from his mother’s folktales. Taispeánfar an scannán as Gaeilge le fotheidil i mBéarla. The film will be screened in Irish with English subtitles. Set in 1892, this animated adventure follows 15-year-old aristocrat Sasha as she leaves behind her comfortable Saint Petersburg life in the hopes of tracking down and saving her beloved grandfather, a famous explorer who has gone missing near the North Pole. 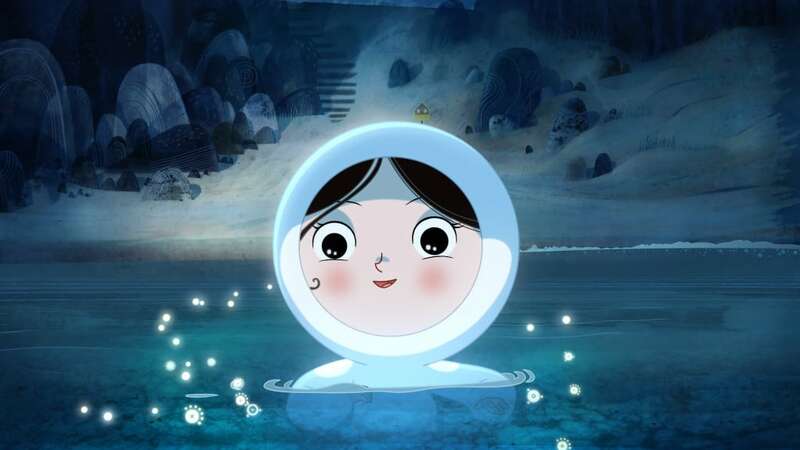 Directed by Rémi Chayé (The Story of Kells) and produced by Claus Toksvig Kjaer (Song of the Sea), this is a beautiful animation with a strong young female lead character. Next Galway’s Junior Film Fleadh launches storytelling competition!